NEOLUG’s April group meeting was comprised of fun, food, and best of all, playing with LEGO bricks. Using multiple copies of the Go Brick Me set, NEOLUG members built custom BrickHeadz for each other. The leftover pieces were also put to good use in a set draft. Each member went home with a life-like (albeit somewhat blocky) version of themselves. 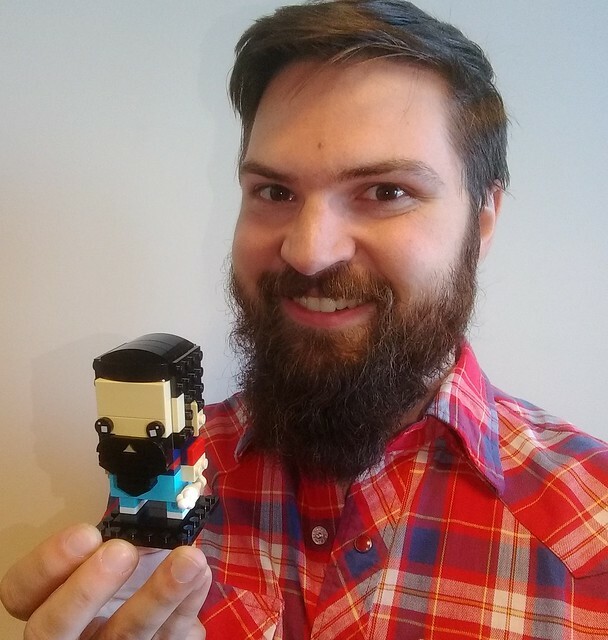 Here’s EJ Bocan posing with his custom Brickheadz built by Ken Cefaratti. 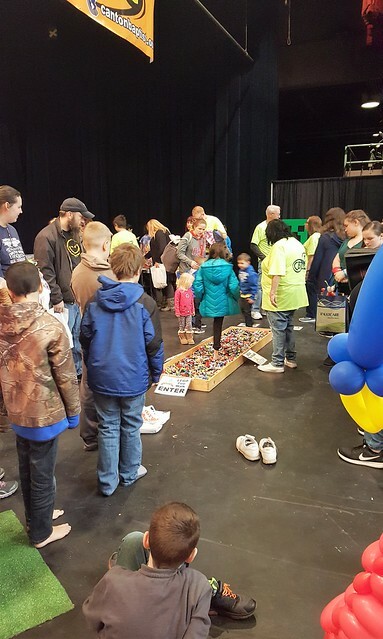 This February, NEOLUG attended the third annual Canton Kidfest 2018, an indoor family fun day at the Canton Civic Center. 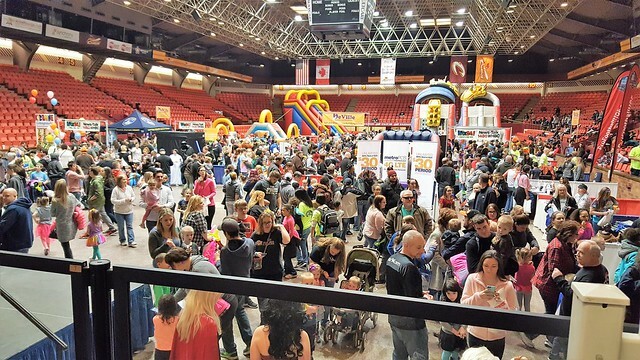 KidFest featured activities for the whole family, including games, prizes, crafts, activities, a rock climb wall, inflatables, a petting zoo, live music, and guest appearances by famous characters from sports, television, and movies. 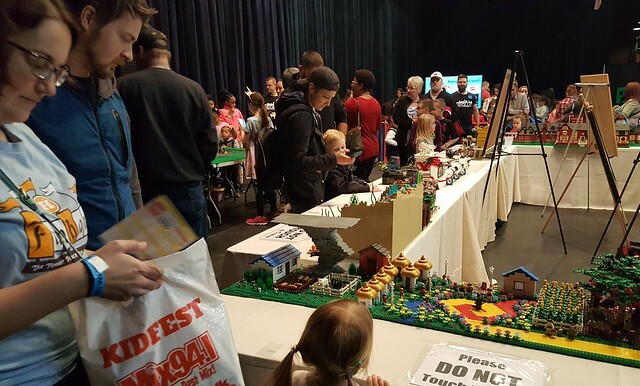 Thousands of families visited this year’s event. NEOLUG was on site, with a display of club member LEGO creations and a large LEGO play area for visitors inlcuding a LEGO “walk of fire,” LEGO balloon sculptures, and LEGO building stations. For more photos of the event, check out our Flickr account. Also, check out this awesome video below that shows the event setup, public hours, and the tear down all in one minute. Look towards the back of the center on the stage to see NEOLUG! Come See NEOLUG at the Solon Historical Society this Weekend! If you’re looking for a fun, free event this weekend, why not bring your friends and family to the Solon Historical Society this Sunday? 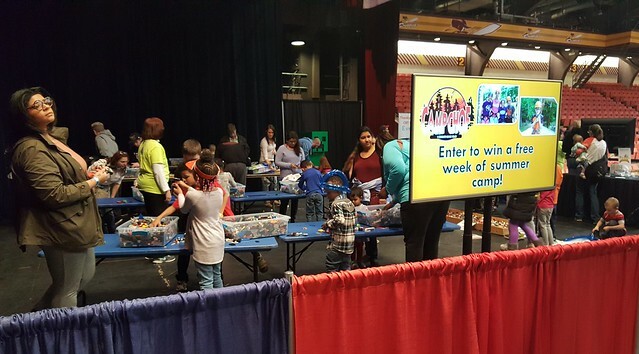 NEOLUG members will be displaying LEGO creations of all sorts and chatting with visitors. The show is free and open to the public this December 3, 2017 from 1:00pm to 5:00pm. Solon Historical Society is located at 33975 Bainbridge Rd, Solon, OH 44139. 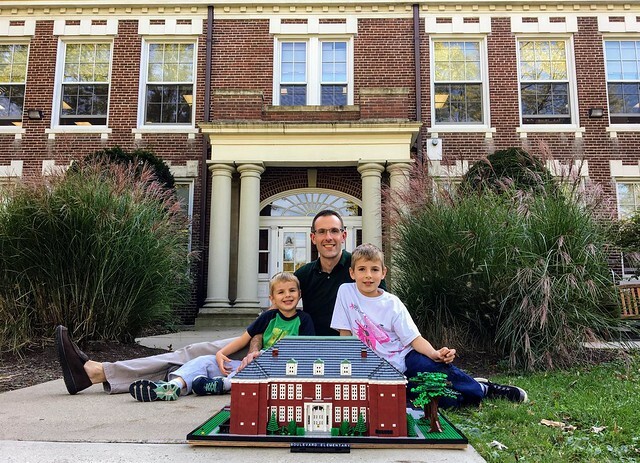 NEOLUG member Zach Lewis (and his sons Wesley and Elliot) were recently featured in the Shaker Heights Schools November Newsletter! The article, which you can read here, explains how Lewis came out of his “dark ages of LEGO” and provides various insights into Zach’s architectural building style, specifically delving into his LEGO versions of local buildings including Boulevard Elementary School and CWRU Harkness Chapel. 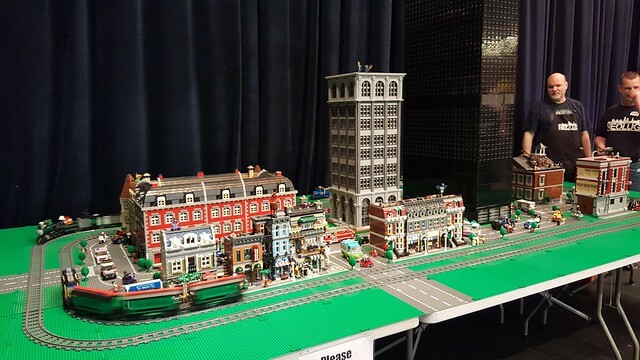 To see even more of Zach’s amazing LEGO creations, check out his Flickr.